Wubb is the one-stop solution for all your business social networking needs. 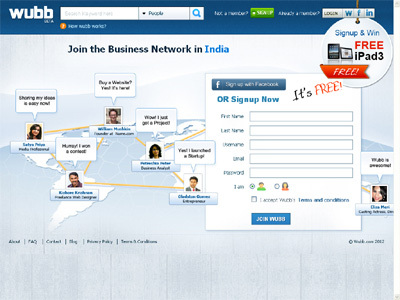 It is a multi-user, community-based, business networking hub where people join only to be benefited. It connects business people from all around the world – be it an entrepreneur, a cofounder, a working professional, a freelancer or an investor. Wubb creates a neutral space for employee and employer to continue real-time conversations. Talented and experienced people all around business streams can become a member of this hub for free. A Wubby (member of wubb.com) can always enjoy the association of quality people and their resourceful insights. There are many more exciting revenue generation models for each of the members. This is something really attracts. Wubby gives you a secured payment system online through which you can track deposits, withdraw, transfer and any history related to your transactions. Being an active Wubby you have a huge earning potential. In fact you will get a dedicated account management section for all the jobs posted and delivered.